My mum was the first person who got me interested in needlecraft. During my childhood, she knitted 80’s-jumpers for herself, and outfits for my dolls. 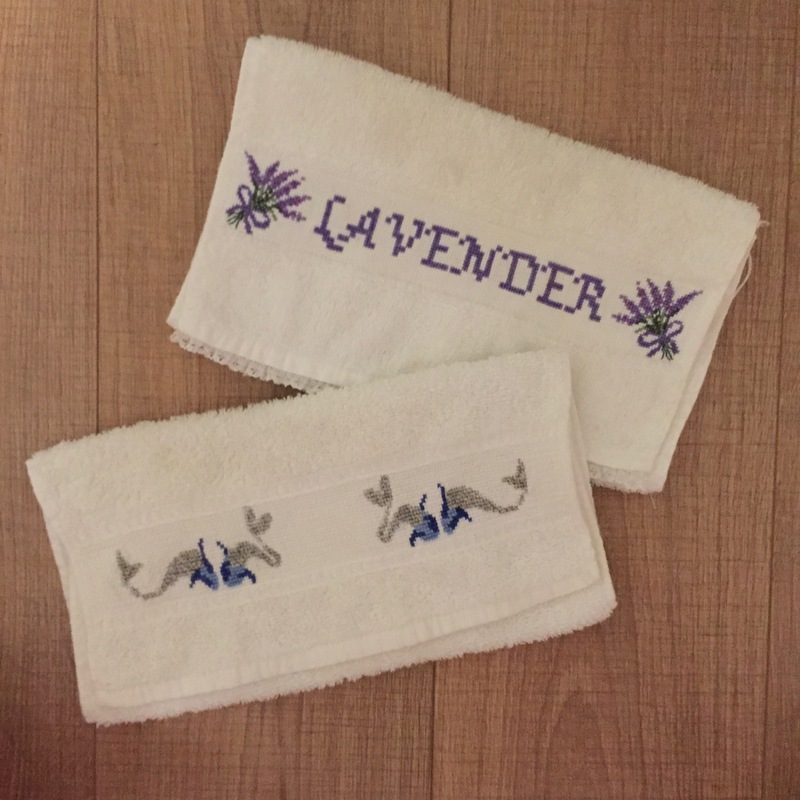 She embroidered a number of tablecloths with cross stitch designs, and stitched a lovely blackwork picture based on a design by M.C. Escher. She also sewed me a number of outfits such as the bridesmaids-dress which I wore at my uncle and aunt’s wedding. She problably sewed stitched and knitted much more but these are just the things I still remember. My mum did teach me to knit and crochet when I was a child but I was never very good. 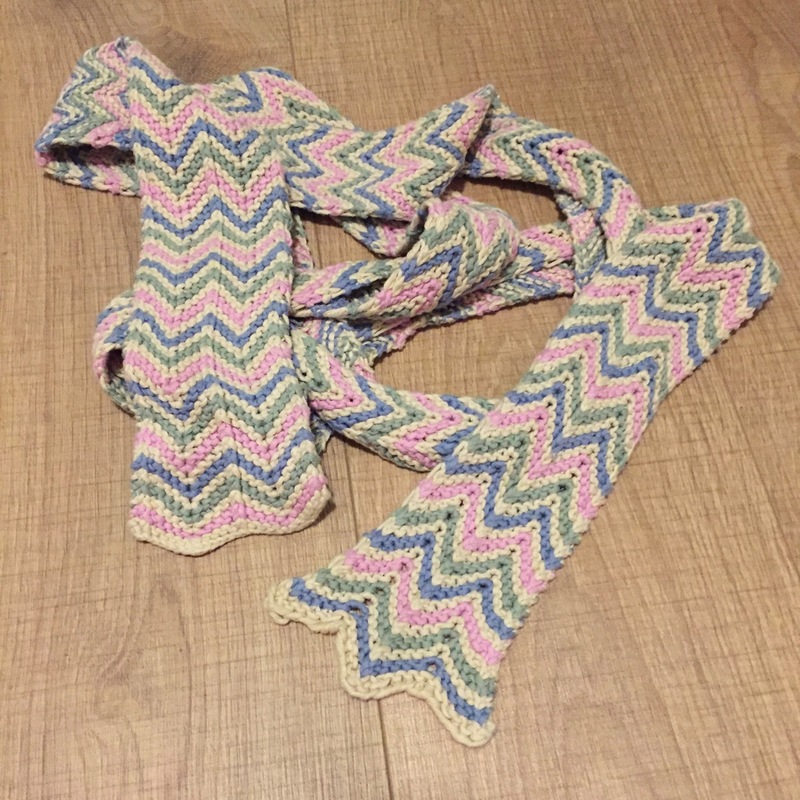 My knitting started off with the correct tension but as I went on it got tighter and tighter and I usually ended up with a triangular shaped scarf rather than a straight one. She also taught me how to do cross stitch but I was usually not patient enough to finish a design. Dipping in and out of various crafts, such as origami, parchment , quilling, rubber sheet crafts and making friendship bracelets etc. 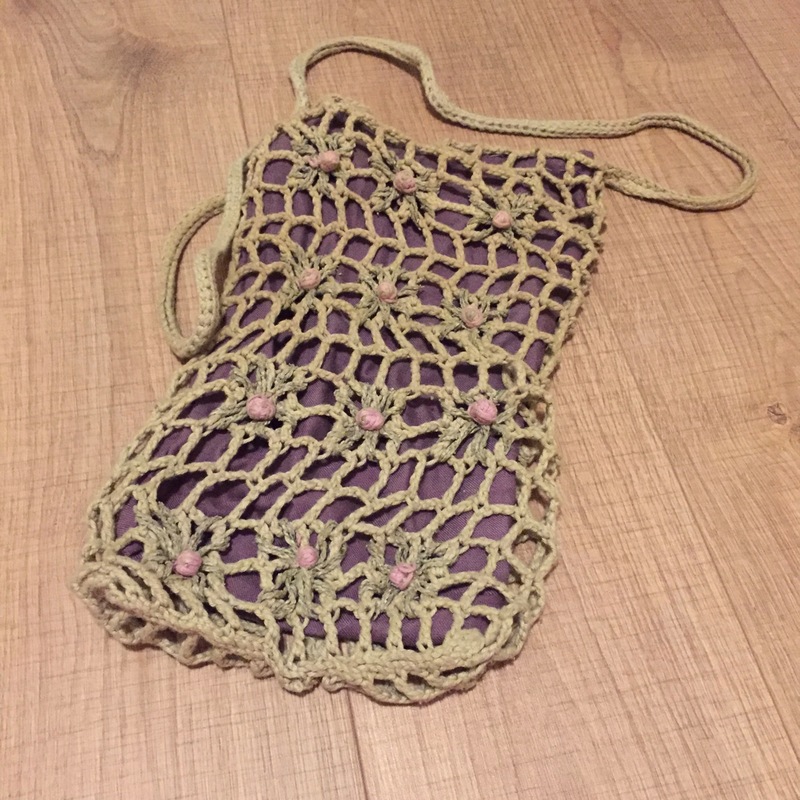 throughout my life I really only became interested in needlecraft again when I was studying for my PhD in York about 12 years ago. My housemate Wendy knitted a lot and when I expressed an interest she taught me how to knit left-handed. That did the trick! 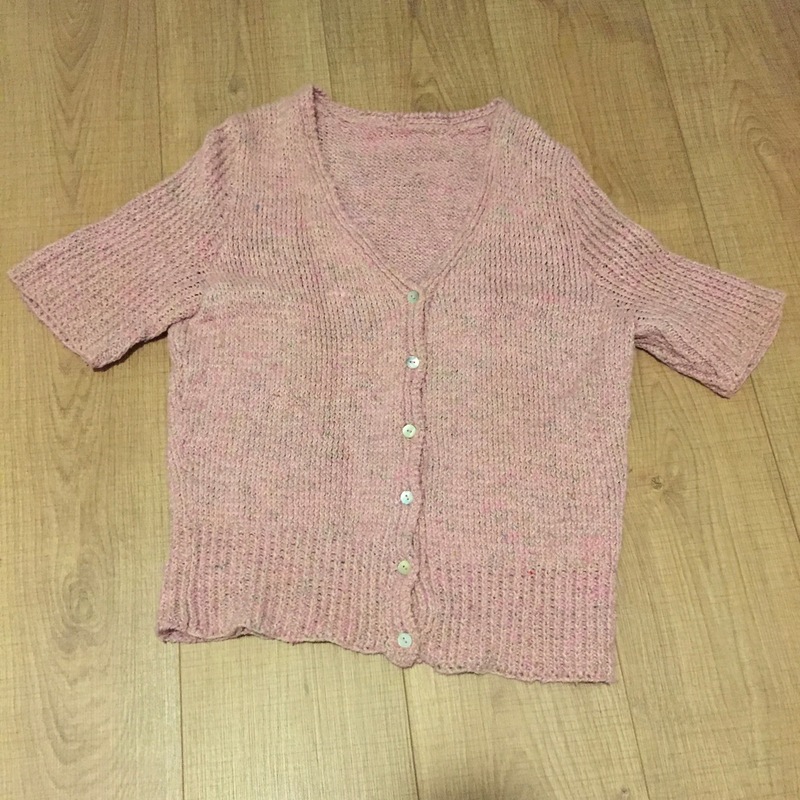 Knitting became so much easier and I just couldn’t stop making things. During my lunchbreaks from work I usually popped into one of York’s needlecraft shops to buy some more yarn or a new pattern. 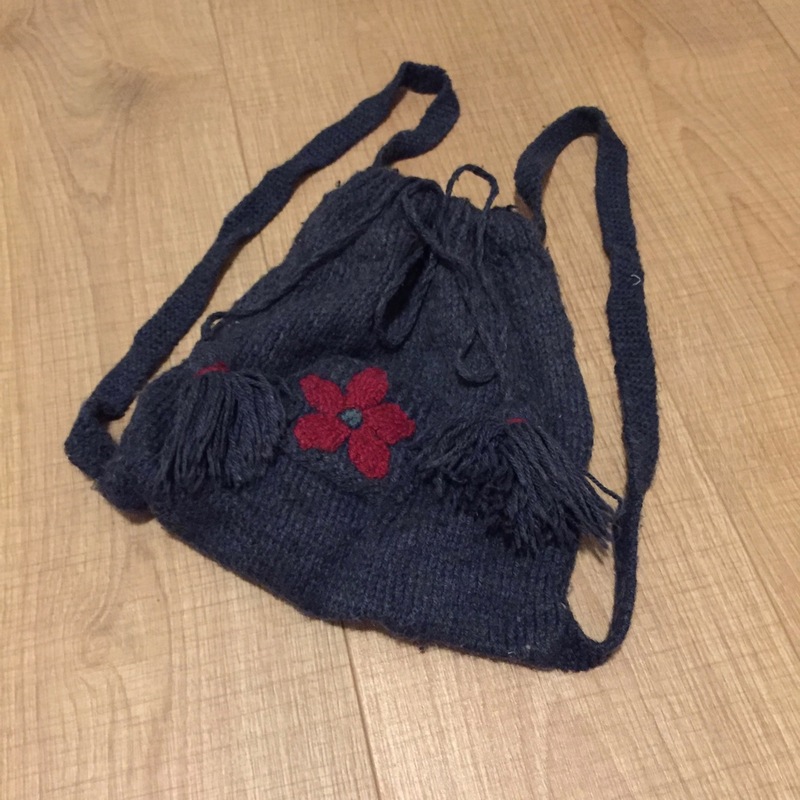 I made a large number of bags and scarves and even knitted myself a cardigan. I also joined a monthly knitting-circle. Besides knitting, and a bit of crochet, I also started to cross stitch again. 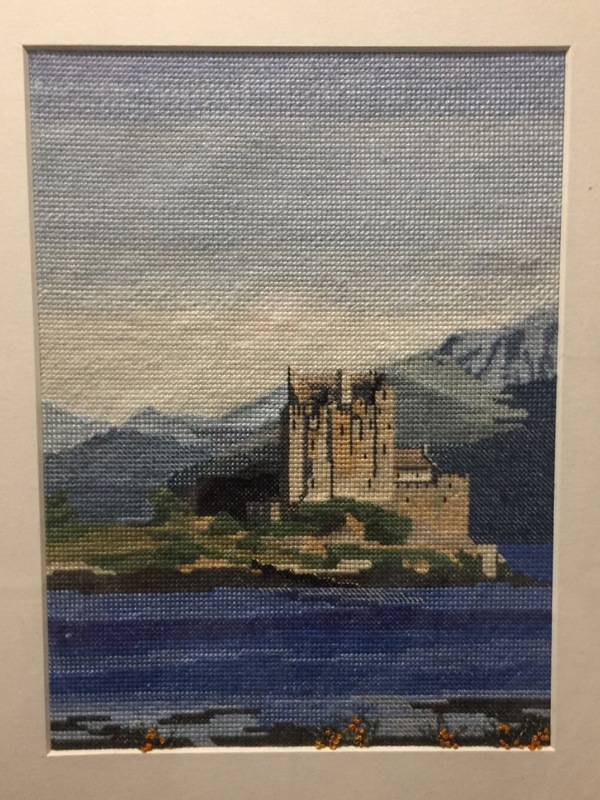 I stitched a picture of Eilean Donan Castle from an issue of Cross Stitch Collection magazine. I also stitched a couple of designs from a cross stitch book with medieval designs I discovered in the library. When I was young I was also intrigued by my mum’s sewing machine and I was always amazed how she managed to work it as it always looked so difficult. 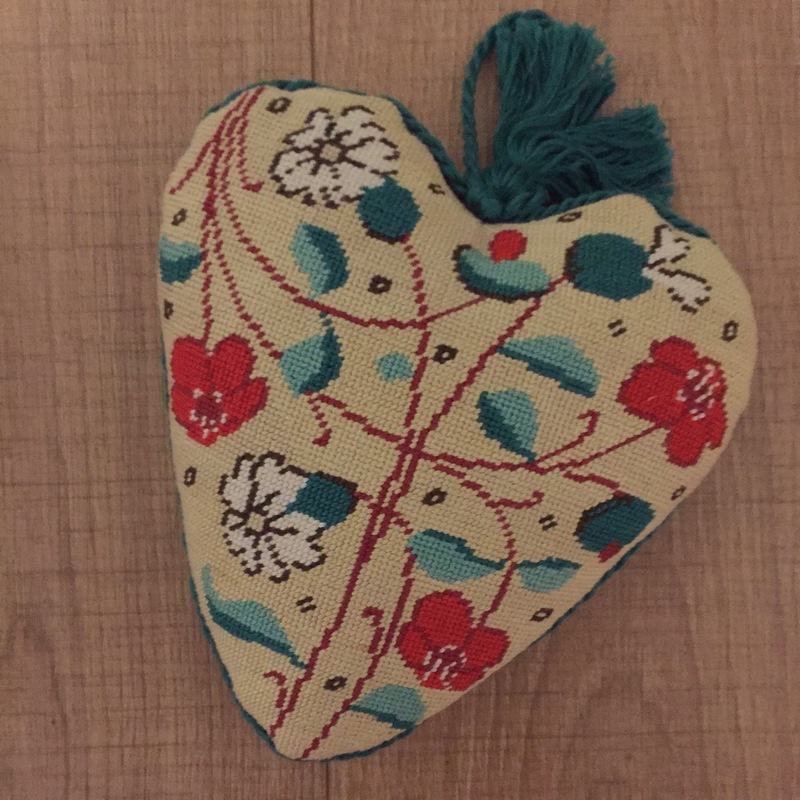 Until just a few years back I always asked my mum to repair my clothes (usually to stitch hems in trousers) or to stitch me homeware items, such as curtains, cushions or bags. However, about three years ago I thought it would be fun to learn to stitch myself and I asked my parents for a contribution towards a sewing machine for my birthday. I really enjoyed going to the sewing machine shop together with my mum to choose one as I really felt grown up, going into town to get my very own sewing machine, even though I was already in my thirties! Once we were in the shop, my mum especially, was amazed by the advances in technology in the 30 years since she got her machine. Originally we had decided to go for a basic sewing machine as I was just new to sewing but we quickly decided on a more advanced model and I have been very happy using it ever since. I always use it to zig-zag my embroidery fabric as used to hate having to do that by hand as it took forever, but I have also taken a practical sewing course and I have done some patchwork since and hemmed my own trousers! Below you will find a selection of the items I have made in the more distant past. 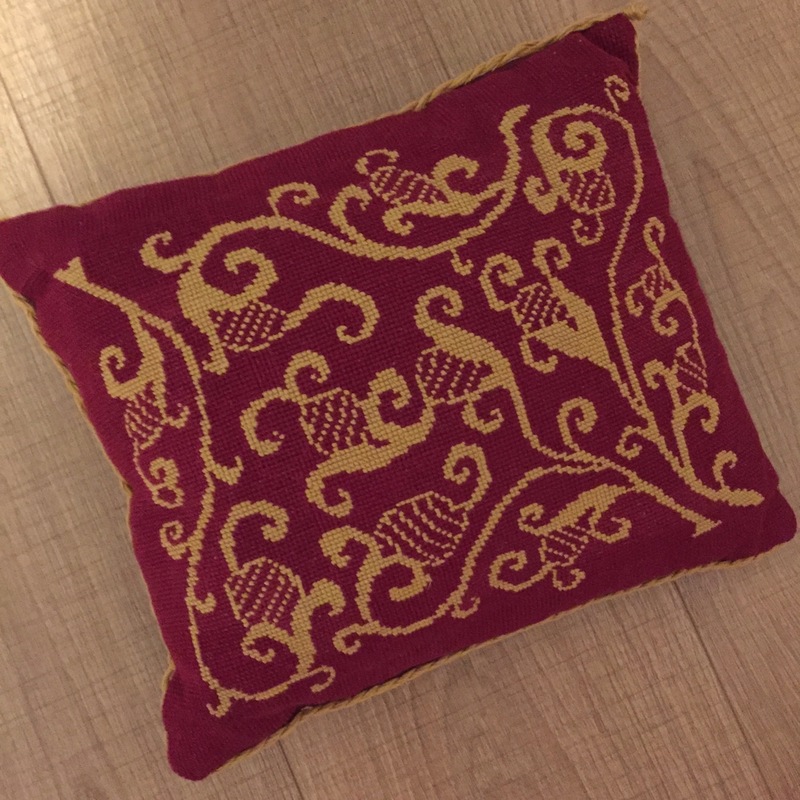 During the last three years I have taken needlecraft even more seriously and pictures of those items you can find in my gallery. 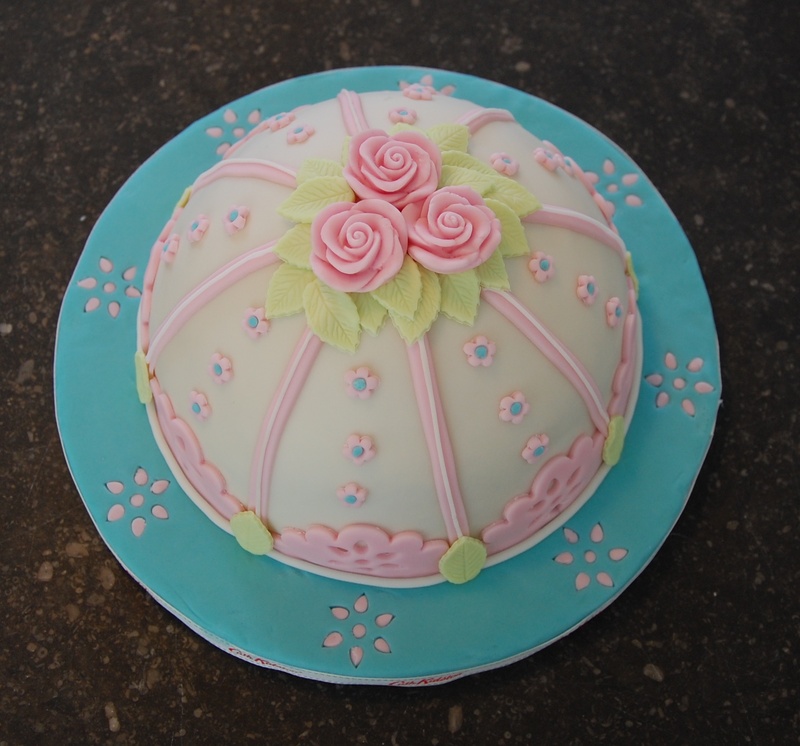 Apart from needlecraft the other main interest I have got into in the past decade is cake decorating. It started in 2011 when my sister-in-law and I decided to bake and decorate a cake for her mother (my mother-in-law)’s birthday. I got hooked. 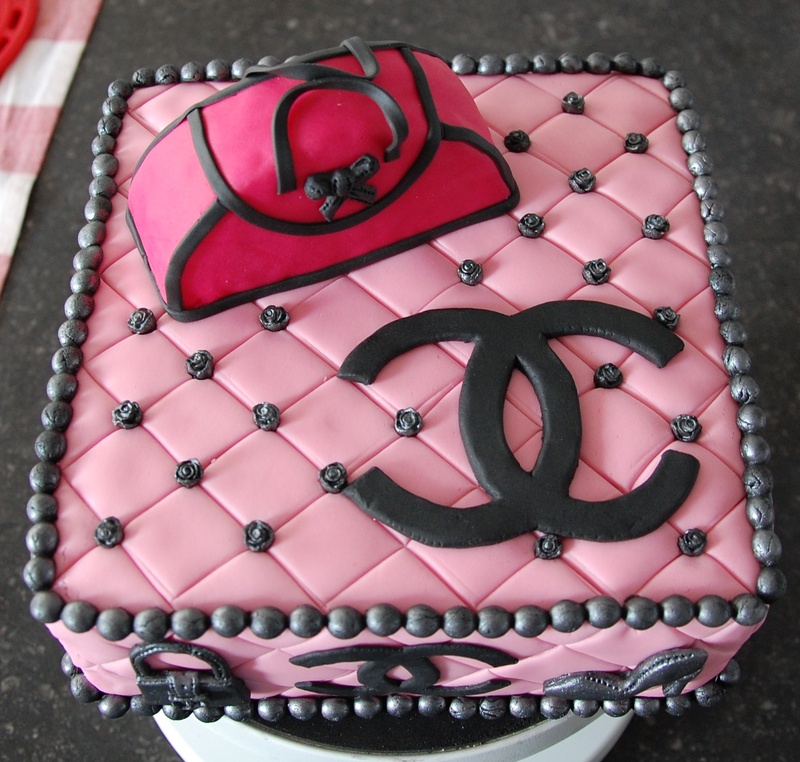 I have even taken a number of cake decorating classes and attended a number of shows and kept a blog. 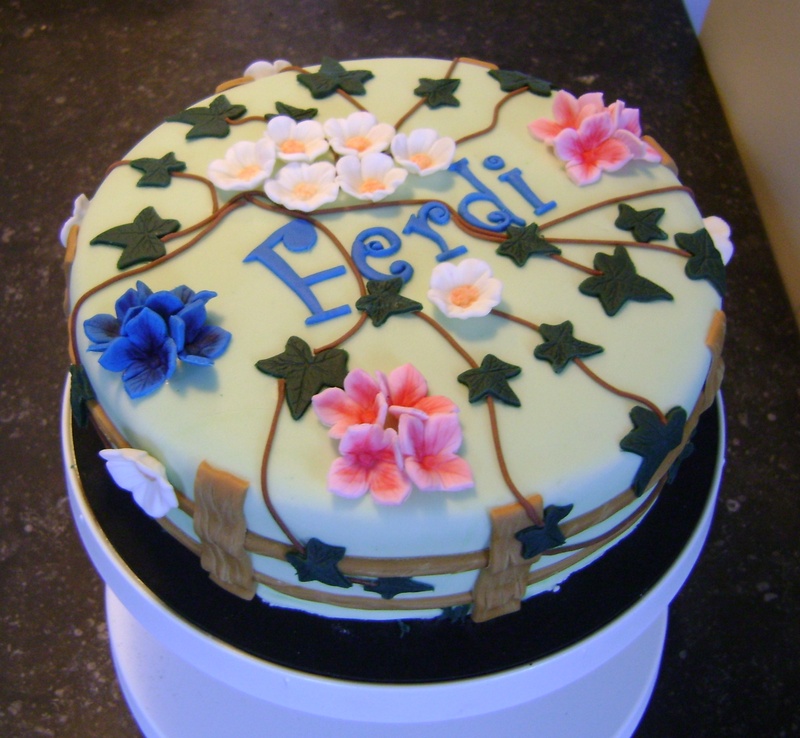 I don’t decorate cakes that often anymore, as unlike with needlecraft, you cannot keep the designs for ever and you have to eat them too. 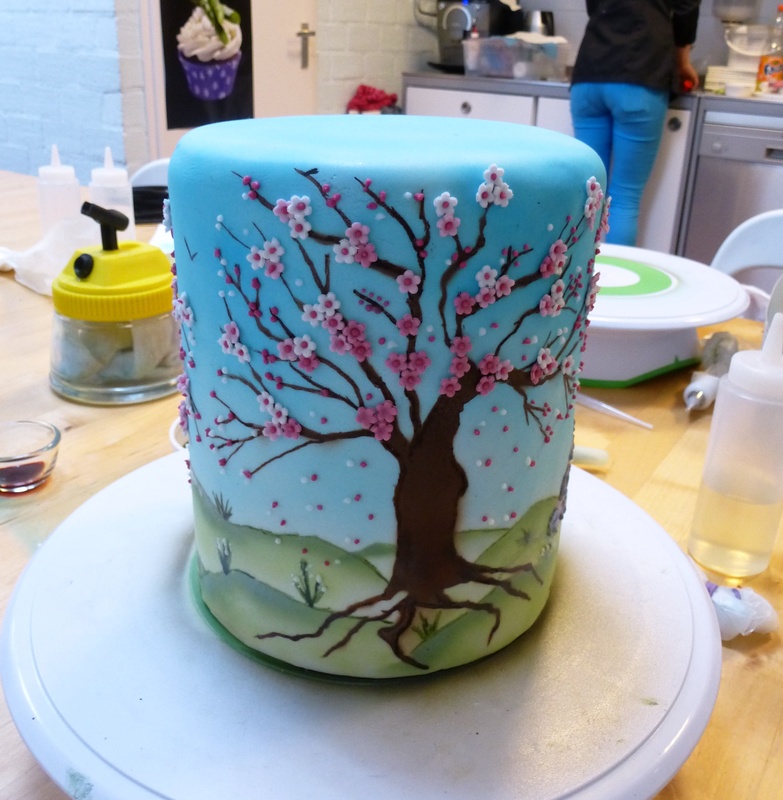 Decorating a cake every week just for fun is, therefore not really an option! 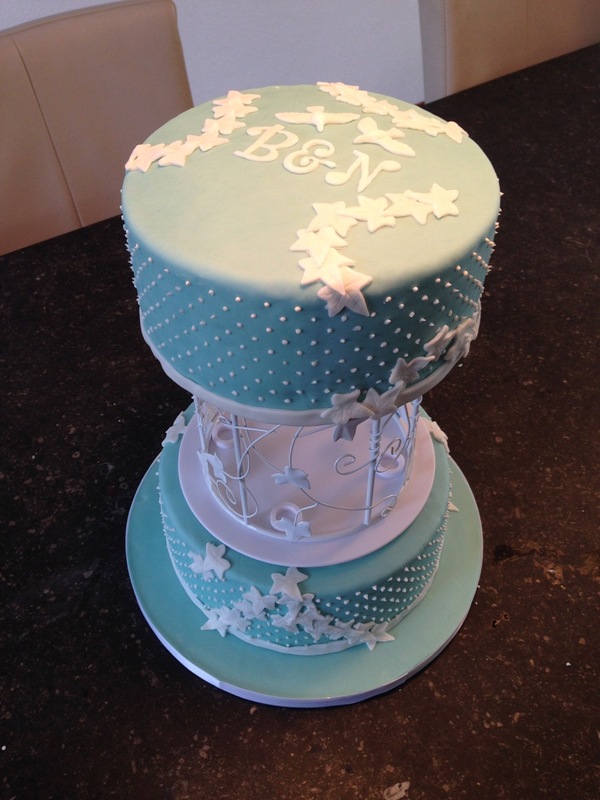 I still make cakes on request though or for special occasions as I still have all of the tools. A colleague mentioned my cake decorating skills the other day as she wanted to show her mum some pictures and had to scroll through my personal Facebook page. Therefore, I thought it would be a good idea to download my posts from my old cake decorating blog and upload them in this one. I am making a selection of the best posts and on Thursdays during the coming weeks you will see one or more old posts going live. I have kept them on the date they were originally written so they will appear at the bottom of my blog page. 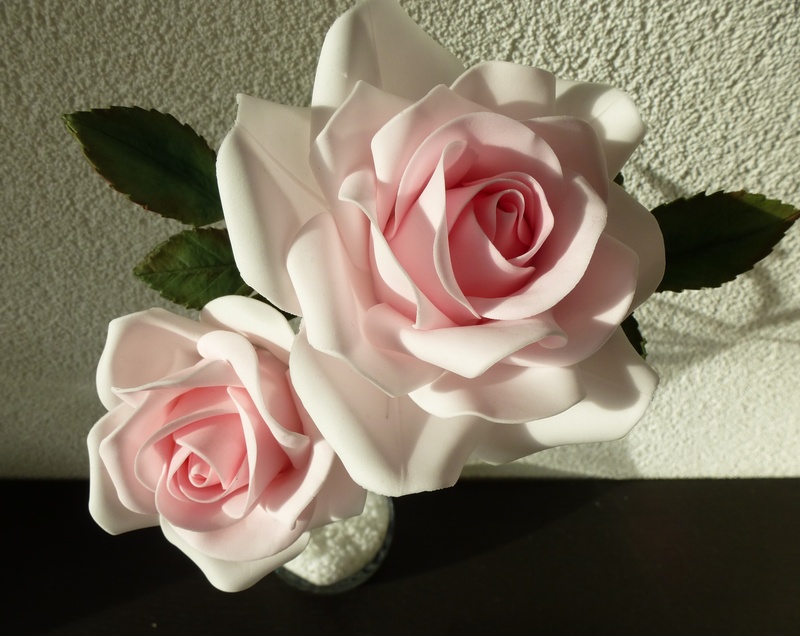 In order for you to see the nicest designs all together I will be including a cake decorating section as part of the gallery but below I have already included a few. So for those of you who don’t particularly like cake decorating they won’t pop up all the time but for those of you who do, they are there for you to look at.